Western Allies Offer Support for US to Strike at Syria, With Conditions - Integration Through Media ....! 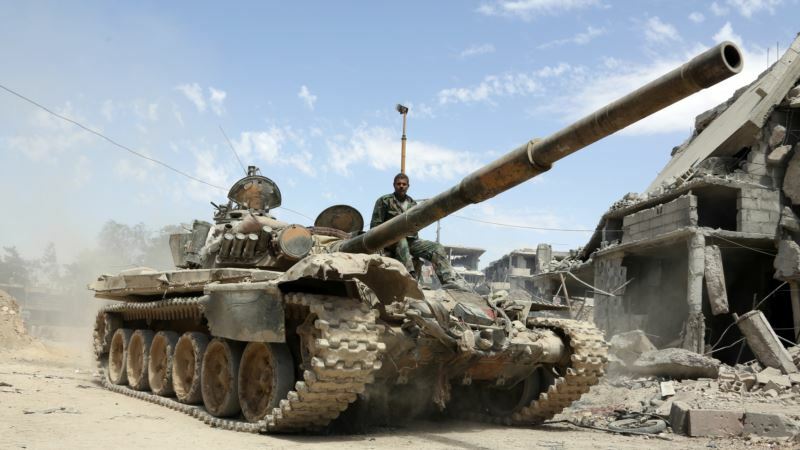 (VOA): America's allies are offering to join a possible military response to a suspected chemical weapons attack in Syria by forces loyal to President Bashar al-Assad. But they're urging Washington to avoid swift retaliation, saying that before a reprisal is launched, more evidence is needed that Syria was behind the chemical attack. France's President Emmanuel Macron has said France is ready to commit to punitive action, if it is confirmed that Assad crossed a red line and used chemical weapons. But he appears to want to limit retaliatory strikes to Syrian government chemical weapons facilities. He said the situation now was different from 2013 when Trump's predecessor, Barack Obama, threatened to strike at Assad for a chemical attack, also on rebels and civilians in a Damascus suburb. “Then the repercussions would have been much less in terms of actors because Iran and Russia were barely present in Syria,” he said. “While a strike on Assad is more than overdue since 2013, there's a risk of conflagration, escalation and the first actual fighting between Russia and the West, opening the door to a longer, protracted conflict,” he warned. That fear also appeared to be weighing on the minds of European governments allied with the U.S., including among members of May's ruling Conservative Party in Britain, who worry that the Trump administration has no overall strategy for Syria. That raises the prospect of a repeat of the setback suffered by May's predecessor in Downing Street, David Cameron, who sought Parliament's agreement in 2013 to participate in a U.S.-led military strike on Syria, only to lose the vote. The withholding of British support contributed to Obama's decision to stay his hand and not to enforce his “red line” on the use of chemical weapons by the Assad government. The former head of British armed forces, Lord Richard Dannatt, said that if the U.S and Britain did take action, it shouldn't be restricted to an isolated retaliatory strike, which, he said, on its own would be meaningless. “Up to this moment, it has seemed much more than likely, and high on the balance of probabilities, that this was an attack using chemical weapons carried out by the Syrian regime. … And it is right that they don't get away with it,” he said.